The service industry has been around for years, but in the last couple of years, we’ve seen some significant advancements in technology that have changed the restaurant industry. While some of these technological changes have received poor reviews, there is a lot of positive feedback and adaptation that has happened. If you’re the owner of a restaurant, it’s crucial that you know what types of advances are happening in the industry and consider whether or not this is something that your business could benefit from. 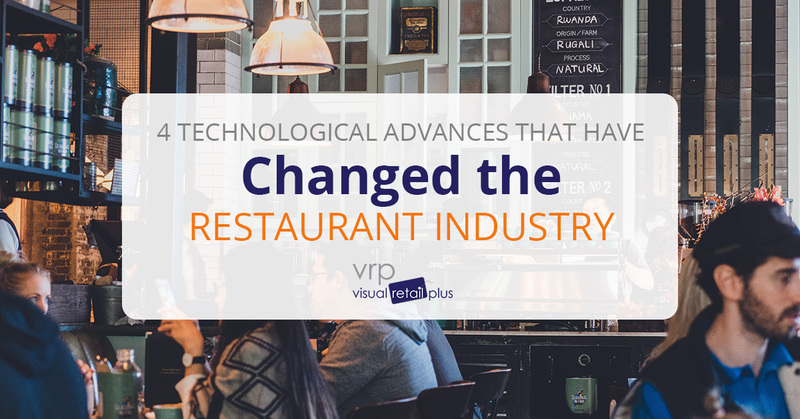 Keep reading to discover four of the technological advances that have changed the restaurant industry. The pen-to-paper method that so many of us are accustomed to is one of the past. Digital inventory tracking is the new and improved method that restaurant owners across the country are taking advantage of. With the ease of a mobile device, your employees are able to view, edit and submit inventory counts and orders. 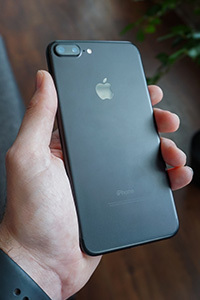 One of the best parts of this technological method is the chance to create schedules within the device, making the process of ordering all the easier. Gone are the days of having to remember which day of the week you needed to count tomatoes and which one you needed to count potatoes. With new digital inventory management, you can ensure that your restaurant has all of the crucial ingredients in stock, all the time. Again, the pen-to-paper method of ordering food is no longer the primary method that restaurants are using. In the last couple of years, we’ve seen quite a few restaurants (chains included) adopt the kiosk and tablet concept. This concept shortens the process of writing down an order, entering it into the POS system, and sending it to the kitchen. With this new form of technology in your restaurant, your servers are able to place the order directly into the POS and send it to the kitchen. Not only does this eliminate the struggle of messy handwriting, long orders, and missed details, it also speeds up the process of getting an order out to the guest. That means that you have happier servers and customers. How often do you hear that sentence? Reservations are a crucial part of keeping your restaurant busy. When Friday night rolls around, you want nothing more than a reservation book that’s packed to the brim. Unfortunately, very few people still make calls to the restaurant to book a reservation. These days, everything is about ease and convenience, which is why online reservations have been such a big hit. Online reservations make it easy for your customers to reserve a table for four at seven o’clock while they’re at work, on the treadmill, talking to their mom, etc. If you haven’t considered adding online reservations, it’s time to do so! While we are talking about the convenience factor that the internet has to offer, we have to cover the ability to place an order online. This is something that many restaurants have incorporated into their business plan, and for good reason. If you’re looking to increase the number of sales that you’re getting on an annual basis, adding online sales to the mix is just one more way that you can reach your customers and provide them with a convenient way to enjoy your food. The one thing that we do need to mention with online ordering is that it can take a little bit more time to figure out. There are a lot of connections that need to be made in order for this addition to be efficient and effective. From the incorporation of online ordering to your website and the communication of your website to your brick and mortar store, you want to make sure that you turn to a reliable company when figuring this into your business plan. Technology is advancing every day, and while the restaurant world might not be the first industry to experience drastic changes, it certainly is developing and adapting to new devices and programs. Whether you’re keen on the idea or you’re still a little bit hesitant, it’s always good to stay on top of the ways that you can take your restaurant to the next level. While we may not be able to help you advance in all areas, Visual Retail Plus can surely help you with an efficient POS system and inventory management software. Our team has been dedicated to helping small businesses from the beginning. As small business owners ourselves, we wanted to ensure that the software we designed was exactly what we needed back in the day. If you’re interested in learning more about how you can introduce our point of sale system for small businesses to your restaurant, contact our team today. We’d be happy to provide you with a demo of the software and show you just how easy it would be to incorporate into your business.